A Papua New Guinea police superintendent is hot on the trail of one of the many high-end cars he's trying to recover after an international summit. An estimated 284 cars are missing or overdue in the impoverished Pacific nation since it hosted the Asia-Pacific Economic Cooperation (APEC) summit in November. Many denounced the country at the time for buying 40 expensive Maseratis to ferry around world leaders, cars which it later planned to sell. "The state assets, especially vehicles purchased by government agencies and authorized for certain purposes, have been claimed by certain individuals through unlawful means," police superintendent and director of PNG Police Transport Dennis Corcoran said in a statement. "Anyone [who] obtained or is in possession of state assets through illegal means will be arrested and charged." Corcoran told Reuters in a phone call that the police knew that nine cars were stolen, parts had gone missing and some of the returned cars were "pretty seriously damaged." 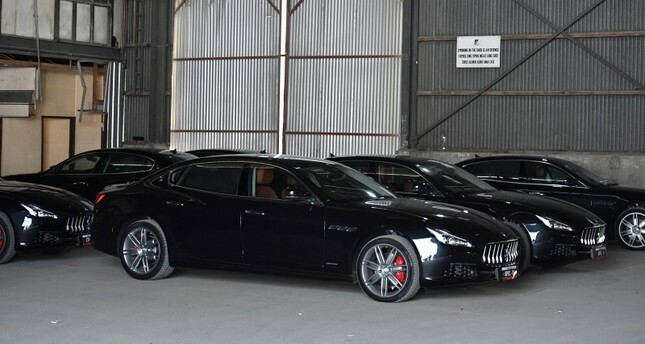 Police said 40 Maseratis and three Bentleys had been returned and "are in good condition and locked away." The missing vehicles include Toyota Land Cruisers and Mitsubishi Pajeros, in addition to Fords and Mazdas. Kakas said the PNG Department of Finance had requested the assistance of police in the recovery of assets purchased over the last three years leading up to the APEC summit. When The Associated Press spoke to Corcoran by phone Thursday, he said he was heading to pick up one of the missing cars, which he said somebody had tried to sell. The thief had disappeared. "The driver absconded, but we got the vehicle." Government spokesman Chris Hawkins had said that many of the vehicles not yet returned were either in government lots or being used by paramedics, firefighters and other public servants. Critics had argued the money used to purchase the cars could have been better spent dealing with chronic social problems in a developing nation where diseases such as polio and tuberculosis have recently re-emerged, as well as suffering a deadly earthquake in 2018. Despite being rich in minerals, timber, oil and gas, its history of colonialism, political instability and mismanagement of resources has kept the nation impoverished. The APEC summit, held in November in capital Port Moresby, was the biggest event the country has hosted, hoping to put itself on the world map and lure investment. Aid money poured in from China and Australia to prepare for the event.